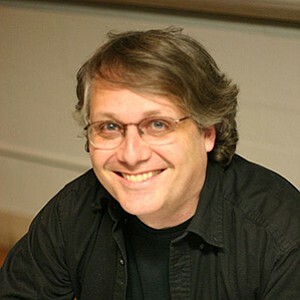 Join legendary comics guru Scott McCloud for this fast-paced pictorial presentation about comics and visual communication. Take a look at the intersection of comics, cartooning, and the broader world of communicating and learning through images. Learn about the unique power of cartoons, comics as “writing with pictures,” facial expressions and body language, the elements of visual communication, and the importance of graphic novels as an influential literary and art medium. This event is part of San Diego Public Library's programming for this year's One Book, One San Diego, where we will explore themes of civil rights, social justice, and discrimination. The 2018 One Book, One San Diego selections are "March: Book One" by Congressman John Lewis, Andrew Aydin and Nate Powell and "Blue Sky, White Stars," by Sarvinder Naberhaus and illustrated by Kadir Nelson.